Having options when it comes to haircare is great, but with so many products out there, it can be overwhelming to choose your regimen. Enter leave-in conditioner, a.k.a the one product that can transform your hair routine. In fact, with 25 benefits, a leave-in conditioner like One United makes it possible to give your hair the best care possible. Keep reading to learn about the game-changing uses of leave-in conditioners. When you’ve been conditioning your hair every time you wash it, adding a leave-in conditioner may seem redundant. The truth is, a leave-in conditioner spray works side-by-side with your daily conditioner rather than in place of it. While your conditioner is meant to be rinsed off in the shower right away, a leave-in conditioner isn't meant to be rinsed out. That’s because leave-in conditioners help give your hair an extra dose of moisture throughout the day, which can be a major help when it comes to managing daily styling wear and tear. With One United, water and coconut oil are the major ingredients at play so it works as a great way to replenish moisture on dry hair. Plus, if you’ve noticed your hair breaking off more than usual while brushing, a leave-in conditioner could be exactly what you need. In the case of One United, there’s Kera-Care technology that uses xylose protein to help with heat protection and prevent breakage. What makes leave-in hair conditioner spray a must-have for your beauty arsenal is it's ability to pack a ton of benefits into one product. For instance, if you like to space out the days you wash your hair, One United can hold you over in-between by making your hair feel manageable and detangling as you brush. But how should you use leave-in conditioner? Spray the leave-in conditioner on damp or dry hair whenever you feel like hair needs a refreshing boost. While spraying it, focus the product on the ends of your hair. Since the ends are the oldest part of your hair, this is where extra moisture is needed the most. On days that you do wash your hair, pair One United with your favorite leave-in treatment, like Extreme Anti-Snap. After shampooing, spray One United anywhere you plan on applying the leave-in treatment and distribute it evenly. This helps you get the most out of the leave-in treatment you’re using. For fans of heat styling, you can apply One United before using your hot tools to help prevent heat damage. 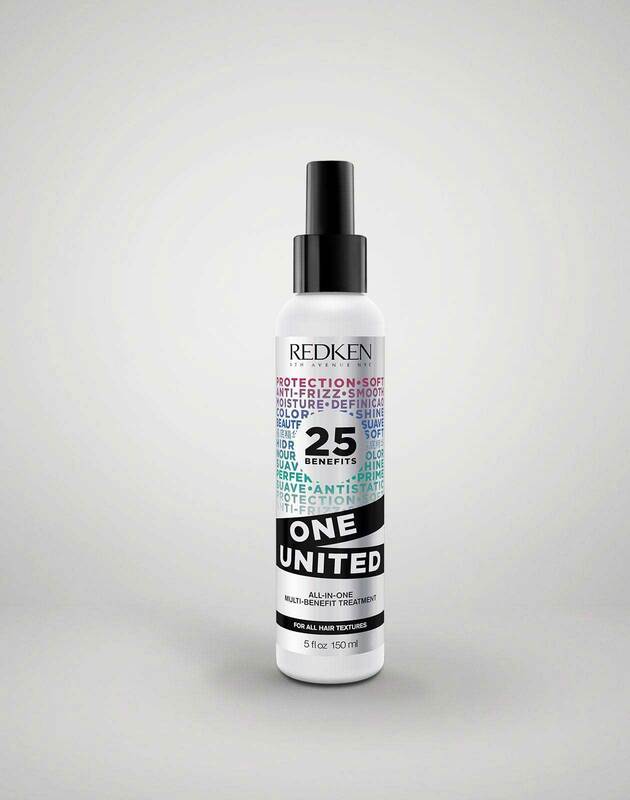 Since One United is a lightweight leave-in conditioner, you can layer it under anything else you add to your hair to soften the touch and texture of the styling products. If heat styling isn’t your thing, you can also pair One United alongside No Blow Dry to let hair air dry with more smoothness and less frizz. Without a doubt, One United is one of the most versatile haircare products out there and a real game-changer for any haircare routine. Ready to take your haircare routine to the next level? Follow @Redken on Instagram to learn more tips about caring for your hair!